Now that you’ve experienced what it is like to open My Horse Box, I will talk you through the contents in a bit more detail. Let’s start with the discount vouchers. There were 3 discount vouchers in this months box from companies which had products in last months box. 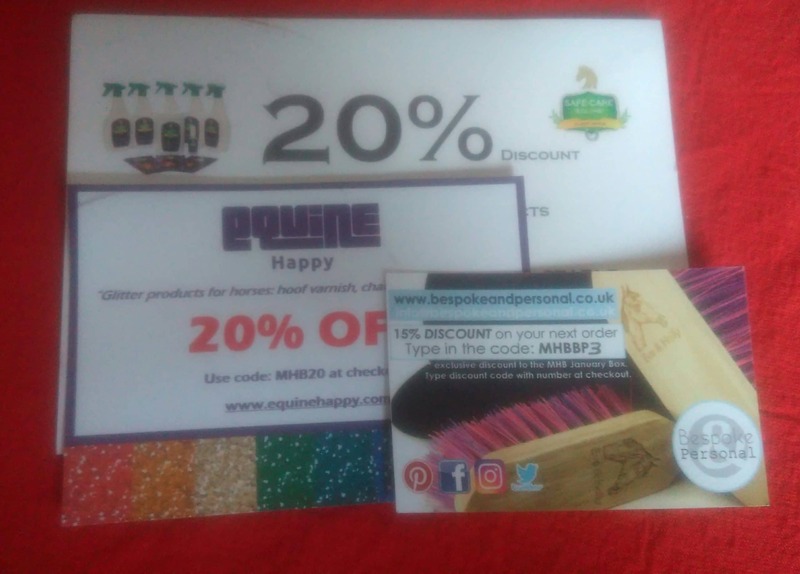 These vouchers are a fantastic idea if you’re getting the box each month as you have already tried one of their products so will know if you like them/if they work for you or not. And if you did like the product, you can now get more of it at a discounted price! 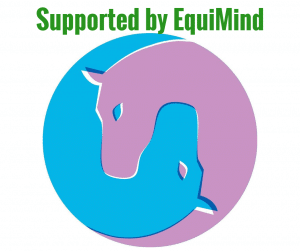 Equine Happy specialises in equine ‘beauty’ products. They are obviously aimed at children and ponies selling pony paint, glitter and coloured hair (mane/tail) extensions. In last months box they included sparky hoof conditioner, nourishing nail varnish for your horse. Now, these products really aren’t up my street – at all. However, I have lots of friends who have children with ponies who would love this. 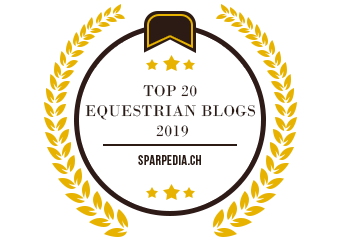 So although I might not use the products, I would consider using the discount to buy them birthday/Christmas presents or even just giving them a gift to help them prep their pony for a fancy dress competition! I have heard so many amazing things about safe care equine products and people who have used them love them. However, I can be a little bit stuck in my ways when it comes to trying new things and not sure if the discount voucher is enough to make me order one of their products without having tried it for myself. This perfectly demonstrates how fantastic the vouchers are if you had last months box. Right now I’m really undecided about buying a product even at a discounted price. Whereas if I had had last months box, I would have already tried one of their products and know if I liked them or not… So when it comes to the discount vouchers, I’m just going to have to tell you guys that you need to get a box every month for them to be really helpful to you. 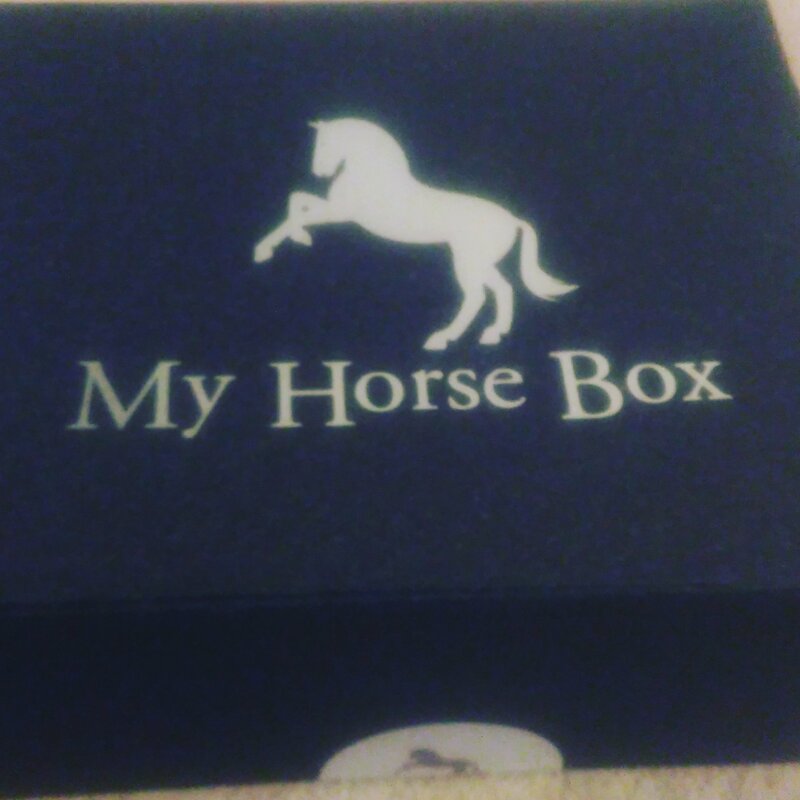 I think this is a really nice touch that My Horse Box have included and adds a different kind of value to the box, it’s thoughtful. It’s a great quality photo taken by Events through a Lens who does a lot with My Horse Box. It could be framed and displayed somewhere at home or at the yard. If you are attending an event where the rider is going to be you could event take it with you in the hope of getting them to sign it for you. Or perhaps My Horse Box could look into getting the rider in the photo to sign the photos before sending them out if they continue to include photos in the boxes. I like the Q&A too. It’s something you usually only see in equine magazines. I also like that so far, the riders featured in the box are people I’m not exactly familiar with. 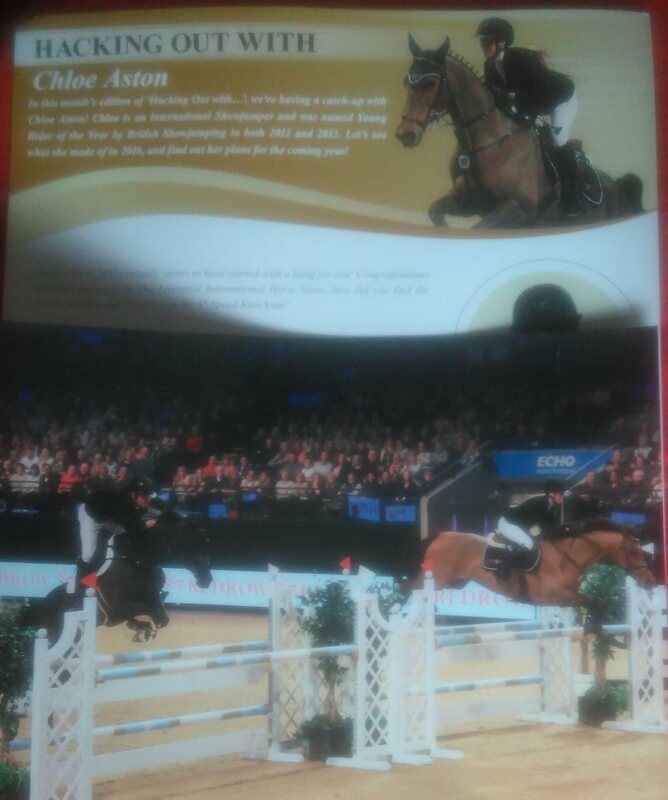 I had never heard of one and only recognised the name of the other (maybe I don’t follow show jumping enough!) So everything in the Q&A is completely new to me, which is nice. Scottie loves these. Some of you may have seen my video on Instagram a week or so ago of Scottie trying both flavours the free samples we got from My Horse box at Olympia where he was very pleased with the treats! However, Scottie is a very greedy horse and not very fussy… so he isn’t the best horse to test for fussy eaters… But if you don’t have fussy horse, they’re brilliant! I like these treats and would consider buying them for Scottie. He isn’t very sensitive, so doesn’t need these as an alternative to other types of treat. But I like them enough to consider them for him in the future, especially over the summer months when he gets more sugar from the grass! But I would certainly recommend them for a sensitive horse. Unfortunately it has been arctic temperatures here recently. So I thought it would be a tad cruel to give Scottie a bath! So instead I thought I would research the product to tell you a bit more about it and my experiences with the brand. I really like Lincoln as a brand. 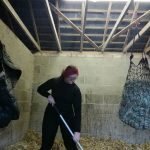 I have always associated it with quality and is something I love to get as a ‘stocking filler’ at Christmas because apart from their horse treats, it’s not something I ever really buy for myself. 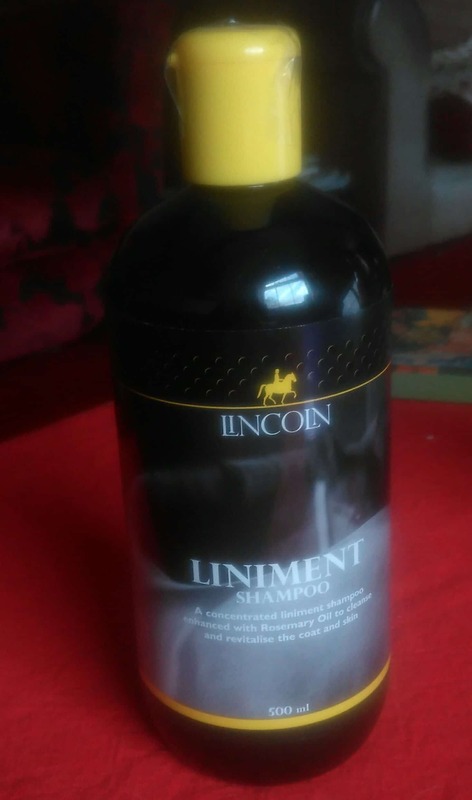 I have used many of their shampoos over the years and have always found they leave the horse’s coat looking fantastic. But because I only really bath over the summer, I tend to choose citronella based shampoos to help as a fly repellent and I then don’t feel the need to buy a second type shampoo. So I did my research on this shampoo and it is designed to be used after exercise as it has properties to help soothe sore and tired muscles, making it the perfect shampoo for summer after a sweaty schooling session in the sun! So if you like to bath over the summer after riding this could be a perfect shampoo for you. I will make sure I use this over the summer and will review it properly then! Growing up Harry Hall was always one of my top choices for breeches and even now, due to their fantastic price, they still make up the majority of my horsey wardrobe. They have always been very affordable but long lasting. In fact one of my pairs I must have had 5+ years! Because of my experience with Harry Hall in the past, I am sure that the hat band will be durable and long lasting. I can honestly say, I don’t think I have ever thought about buying myself a reflective hat band. But actually, this arrived at a perfect time for us. I have recently moved Scottie to a yard in my village. But this does mean that to get to any of the fantastic hacking we have around us, I do need to ride down a fairly busy road. Because of this I have recently gone a bit Hi Vis crazy and this will be the perfect addition to our current, traffic stopping, nuclear glow! The fact it comes with a flashing light is just even better. I have quite a small head, but it fit easily onto my hat and stayed securely in place. I can’t imagine anyone struggling to get it onto their hat especially with the elastic sides. The only thing I would change would be the colour of the elastic. 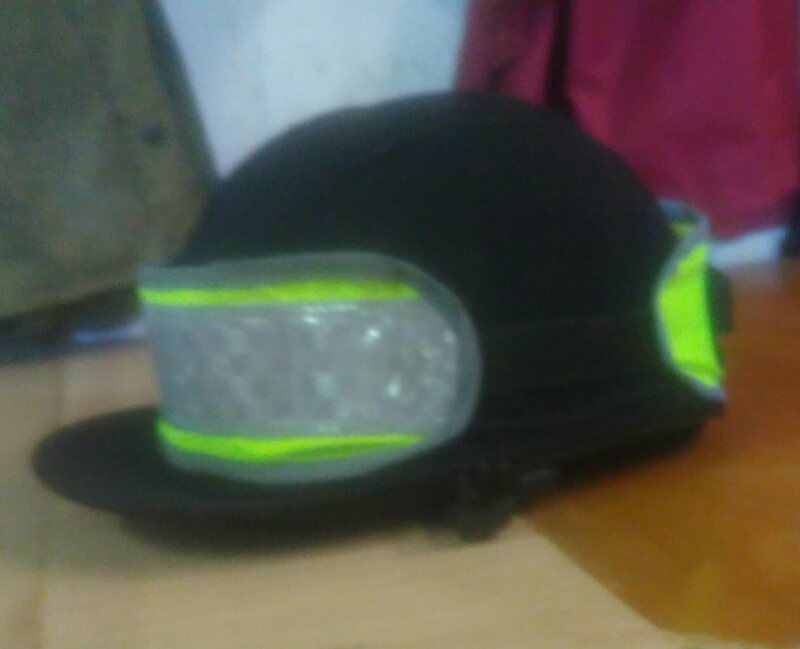 It is black, which is fine, but as you can see from my terrible photo, the elastic does cover quite a bit of the hat. So I think maybe using a brighter colour would be better, since it is part of Hi Vis clothing. The only question I have about this product is it’s battery life. If you do a lot of hacking the flashing light might not last very long. (Although it’s still a perfectly good product without it!) The website description says the battery is “easy to replace” and it will probably take a watch (tamagotchi) battery if it needed replacing. So if it runs out it’s not the end of the world! From what I can discover via the interweb, this brand is still fairly new/small. But you can tell that a lot of care has gone into creating the product and it is homemade. 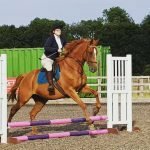 I couldn’t discover much else about the product without repeating their description, so I just had to give Scottie’s filthy tack a once over with it to give you my honest opinion! I love it. Scottie’s bridle is a really nice red/brown colour and this soap really brought out the colour of the leather. I don’t remember the last time it looked that good! (Well apart from when I got it!) It isn’t sticky or greasy like other saddle soaps I have used and it hasn’t left my hands feeling dry. 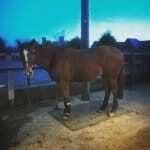 I tried to take a photo of the bridle afterwards, but the lighting in our tack room isn’t brilliant. So I won’t include it in the post. Again, this was another product and brand I am not familiar with, so I had a look at their website to find out more for you. The company developed after accidently discovering the positive properties goats milk had when it came to improving skin conditions. All their products are natural and help reduce your carbon footprint. 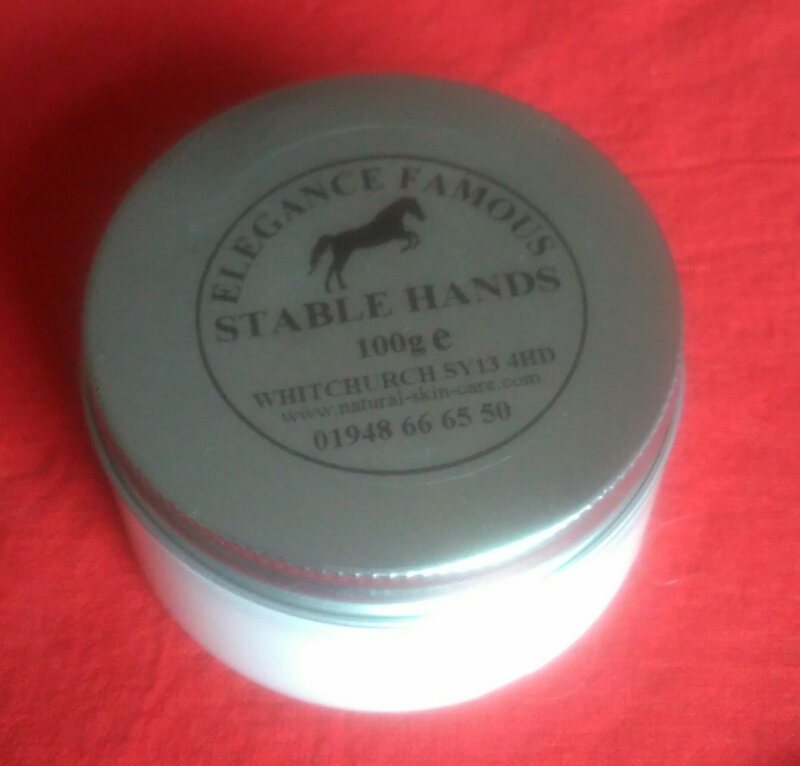 Their Stable Hands cream was developed with equestrians in mind. Not only can it soothe and help heal dry and damaged skin, but it also acts as a barrier, helping to prevent skin getting damaged by the elements we horsey folk face on a daily basis. To make my review honest, I have been using this cream all week and I like it. I’m not one to really look after myself. I only really moisturise once my skin is dry and/or sore so remembering to use this all week has been a challenge. My hands do feel better and I think the mucking out calluses have got softer. However, I have quite strong skin and very rarely get dry skin, so I’m not really the best guinea pig for this product. I really liked the January box. It isn’t loads of ‘useless’ stuff which I think a lot of people associate with getting in subscription boxes. No, it wasn’t stuff I would typically buy for myself, but I like that about it. Why would I want a surprise box of things I buy all the time? A lot of the products are things I can expect to get from horsey friends as Secret Santa presents and would be really happy with them! Also, the box is amazing value for money. If you just get the 1 month subscription it will cost you £34.99 (if you have a longer subscription it costs you less for each box.) I spent a bit of time googling and if you take out the discount vouchers, the Q&A and the photo from Events through the Lens, to buy the remaining 5 products would cost you roughly between £42-£49. 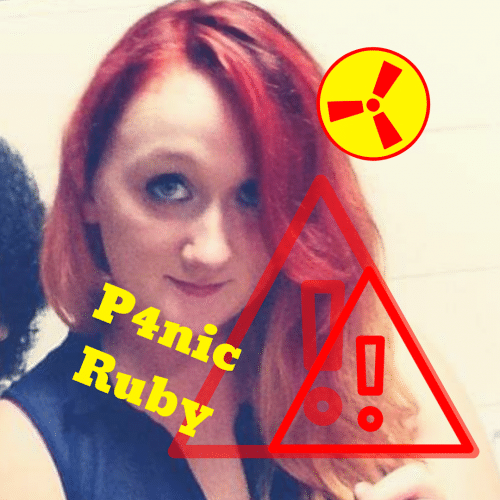 (Prices vary quite a bit between websites and postage costs!) So you are potentially paying £10 less for more! 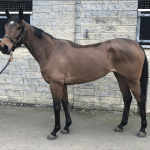 Find out more or sign up at My Horse Box.